Lymphedema occurs when the lymph system (see below) is damaged or blocked. Fluid builds up in soft body tissues and causes swelling. It is a common problem that may be caused by cancer and cancer treatment. It usually affects an arm in breast cancer patients but it can also affect other parts of the body. Lymphedema can cause long-term physical, psychological, and social problems for patients. What makes up the lymph system? 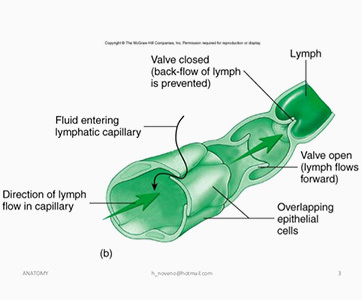 Lymph: A clear fluid that contains lymphocytes (white blood cells) that fight infection and the growth of tumors. Lymph nodes: Small, bean-shaped structures that filter lymph and store white blood cells that help fight infection and cancer. Lymph nodes are located along the network of lymph vessels found throughout the body. Clusters of lymph nodes are found in the underarm, pelvis, neck, abdomen, and groin. How does breast cancer affect the lymphatic system? Lymphedema can occur after any cancer or treatment that affects the flow of lymph through the lymph nodes, such as removal of lymph nodes. It often occurs in breast cancer patients who had all or part of their breast removed and axillary (underarm) lymph nodes removed. Removal and/or radiation of lymph nodes in the underarm. The risk of lymphedema increases with the number of lymph nodes affected. For those undergoing a full axillary dissection with radiation therapy a patient’s risk is 20-30% over their lifetime. There is less risk (less 2%) with the removal of only the sentinel lymph node/s (the first lymph nodes to receive lymphatic drainage from a tumor). Scar tissue in the lymph system caused by surgery or radiation therapy. 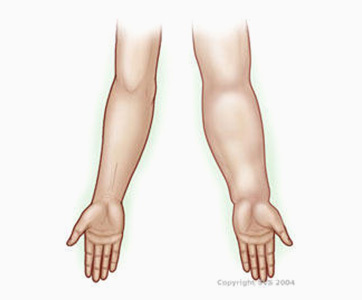 These symptoms may occur very slowly over time or more quickly especially if there is an infection or injury to the arm. Often the damage to the lymph system cannot be repaired but this damage may not always manifest into lymphedema. So, there are some ways to prevent its lymphedema. Will I need lymph nodes removed with my cancer removal? What is my risk of developing it with my cancer diagnosis and treatment plan? Do you have lymphedema specialists to assist in lymphedema education and management? When should I begin wearing a compression sleeve?